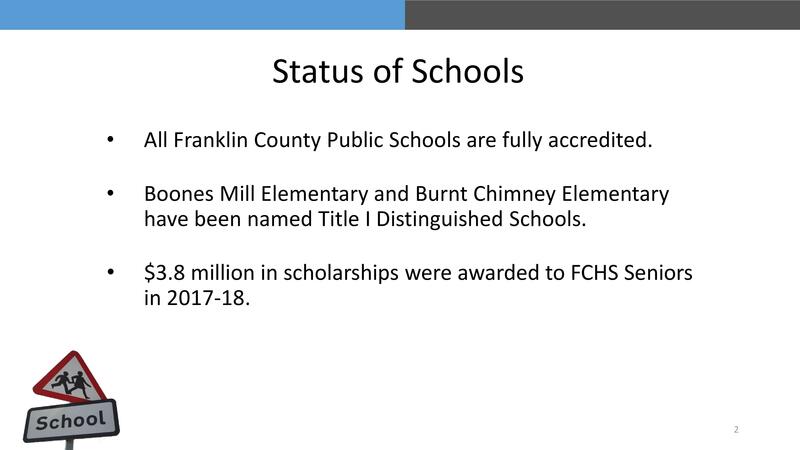 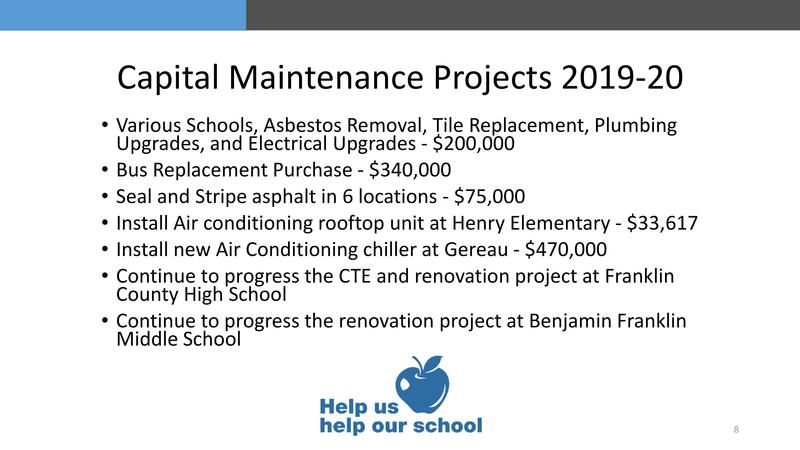 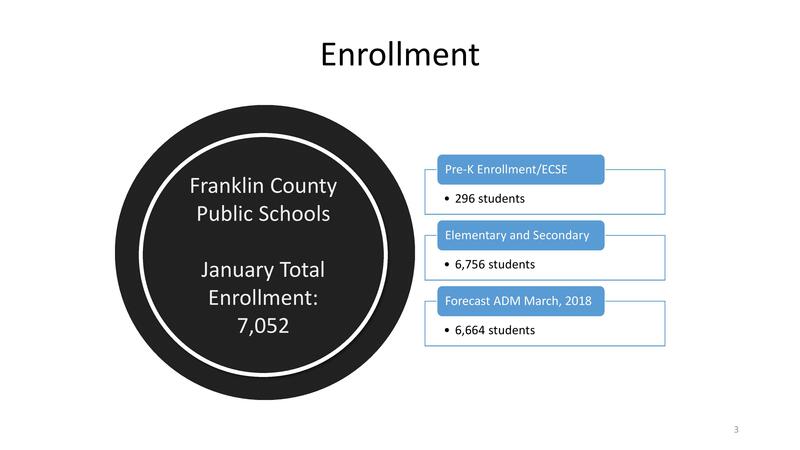 ROCKY MOUNT, VA – On Tuesday night, the Franklin County School Board and Superintendent Dr. Mark Church held a public hearing in the auditorium of Benjamin Franklin Middle School on the Proposed 2019-2020 school system budget. 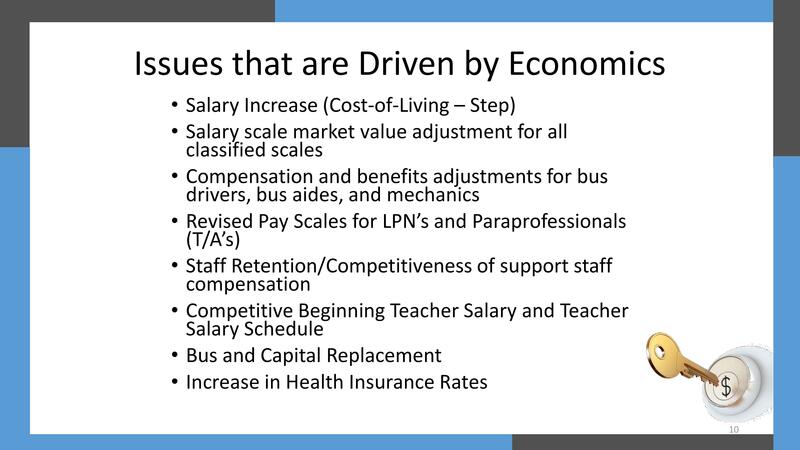 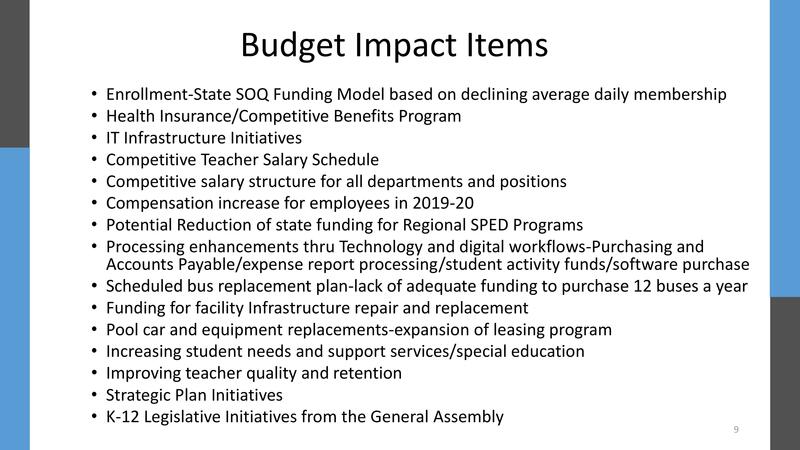 Dr. Church presented a 15 slide presentation that outlined the status of Franklin County Schools, the decline in enrollment, decline in financial aid from state and federal funds, their request for an increase in county funds to make up for the budget shortfall, and budget expenditures (capital improvements, mandates, employee compensation, and other budget impacts). 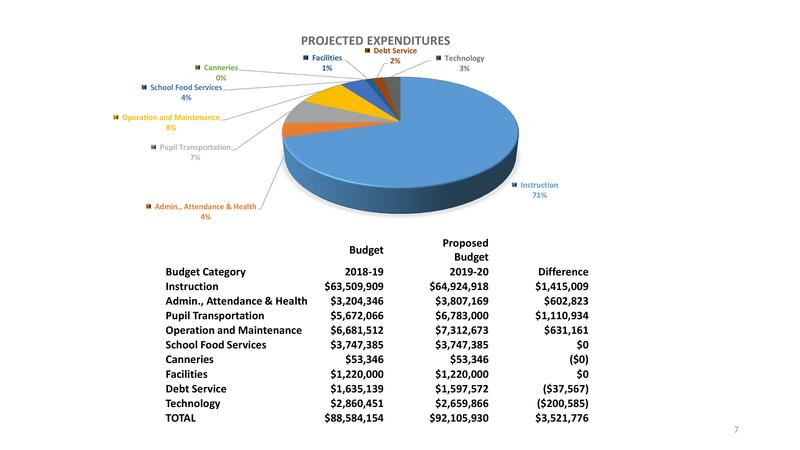 The total operating budget outlined in the presentation added up to $92,105,930, an increase of $3,521,776 over last year. 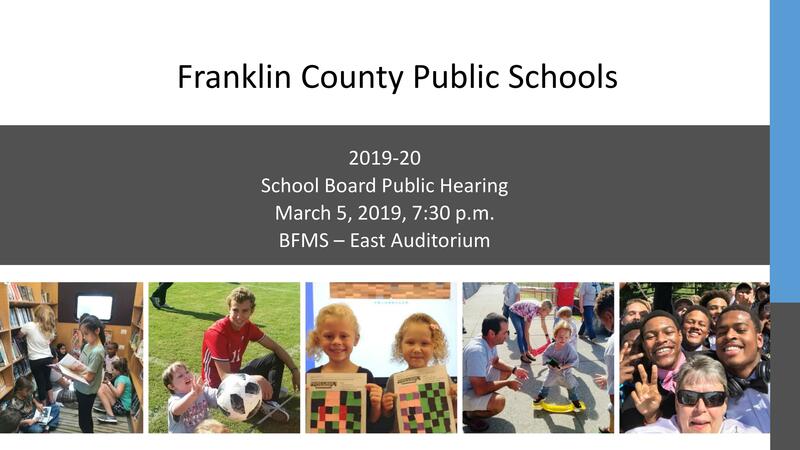 The proposed 19-20 school budget will be up for final review and adoption on Monday, March 11th during the monthly meeting of the Franklin County School Board at 7:00 p.m. 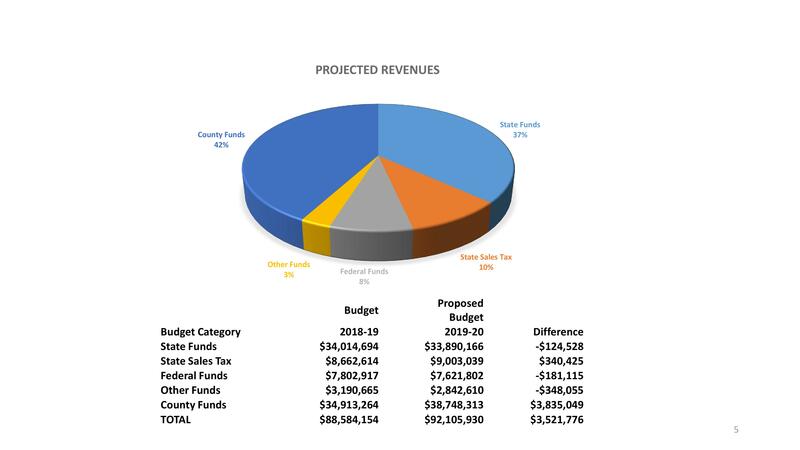 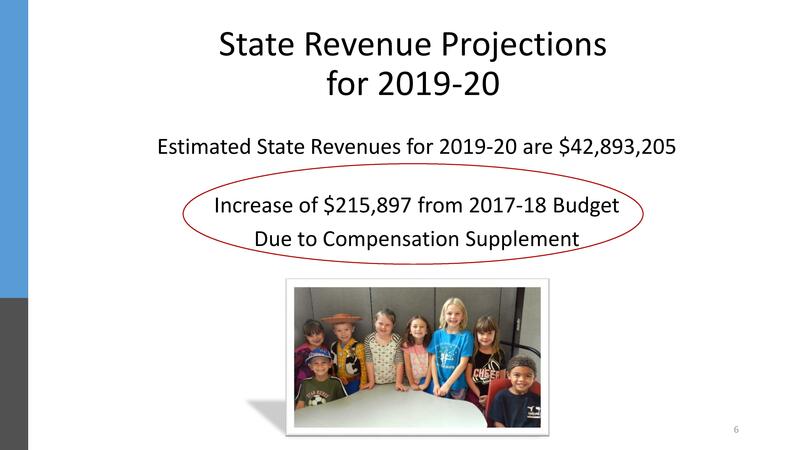 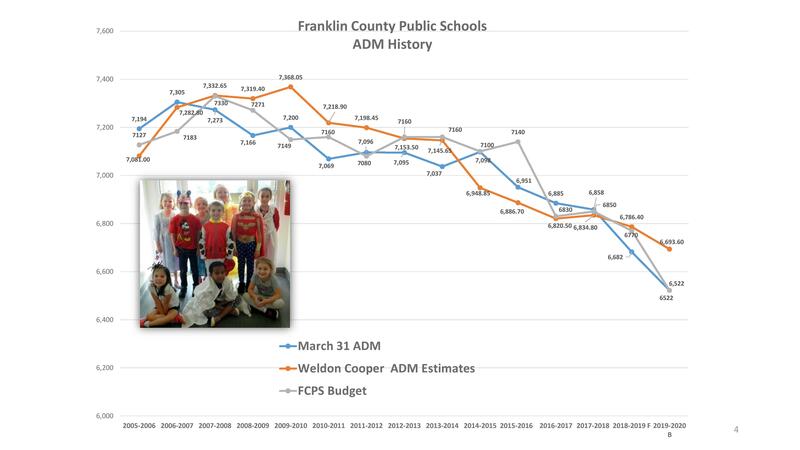 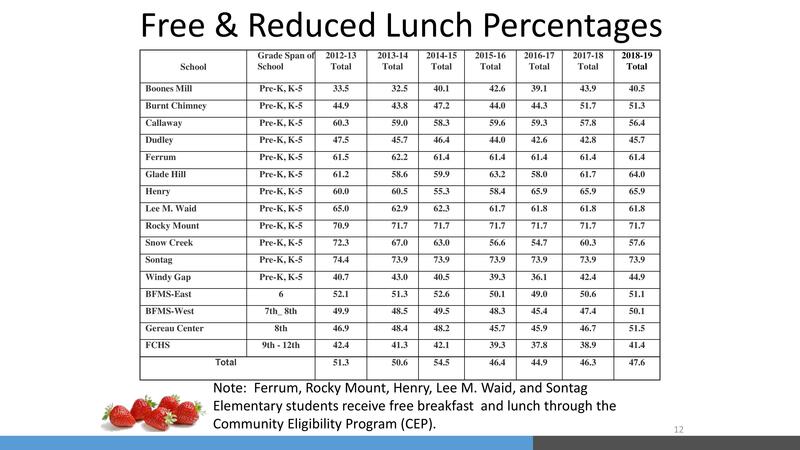 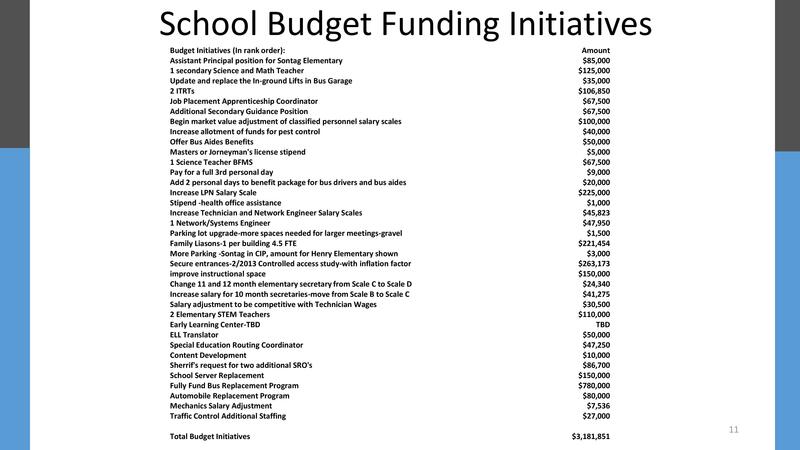 Following approval by the school board, the budget will be presented for review by school staff and then finally presented to the Franklin County Board of Supervisors on Tuesday, March 19th.